'It's clear that China would like to diversify from its dollar investments,' the Republican lawmaker said at the Centre for Strategic and International Studies, a Washington think-tank. 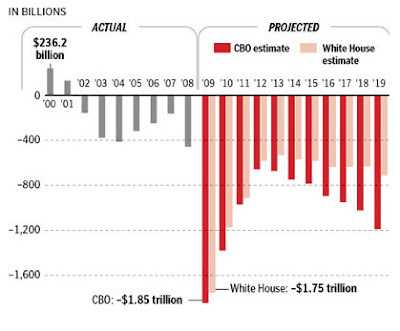 You mean this soaring US budget deficit? AFP neglected to mention the unnamed President responsible for quadrupling the deficit in a single year. Someone named "Obama" was mentioned tangentially twice in the story, but not relating to anything regarding deficits.